The award-winning Clorox Total 360 System is a new surface treatment system that uses electrostatic technology to provide superior coverage. 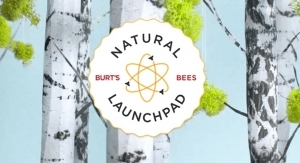 Healthy Soap has been added to Gojo’s powerhouse Purell line. 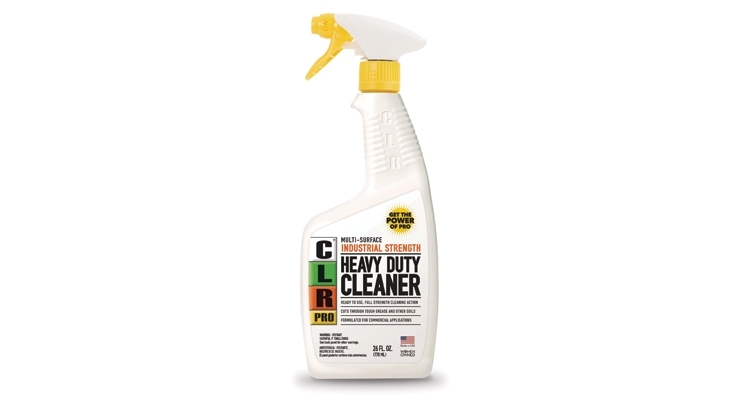 The CLR Pro lineup includes a heavy duty cleaner. A new logo heralds Diversey’s updated brand identity. There are spaces that people expect to be clean, and those that must be clean—and it is up to facility owners and operators to meet the level of cleanliness that’s required for their space or suffer the consequences. Those consequences can vary, of course, as there’s a big difference between what constitutes “clean” in a hospital, which can lead to increased risk of infections for patients, compared to a hotel room or retail store where customer sentiment is often swayed by what they see when they turn the bed down or scan the floor for scuff marks. According to the 2017 Consumer Cleaning Insights Survey released by P&G Professional, it doesn’t matter how good the service is or how wonderful the employees are, how clean and fresh a hotel, restaurant, salon or office is what matters most. 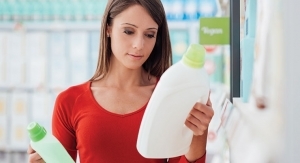 In fact, 92% of consumers P&G surveyed said that cleanliness was the deciding factor if they would become a repeat customer, and 9 in 10 agreed that they are more likely to have an overall negative opinion of an independent business if the public spaces—think lounges, restrooms or lobbies—are not clean. Nearly all respondents (96%) said they would ask to be moved to a new hotel room if the bedding was not clean. And if a restaurant’s restrooms are not clean, 88% of customers said they wonder about the safety of the food being served. On a positive note, 95% percent of consumers agreed that cleanliness can elevate a good business into a great business, and 74% say they are more willing to overlook slow service if the business is noticeably clean, which is great news for hard working waiters and waitresses! There are plenty of public spaces in which cleanliness matters—especially this time of the year. It’s the start of flu season in the US, and many Americans admit to taking actions that can contribute to the spread of the virus. According to a new Harris Poll conducted on behalf of emergency healthcare provider CityMD, roughly three out of five Americans who have had the flu or flu-like symptoms admitted to being out and about the last time they felt sick, putting others at risk. Where did they go? Everywhere. According to CityMD, 69% went to the drug store/pharmacy, 43% headed to the grocery store, 39% went to work, and 16% went to a restaurant/deli. 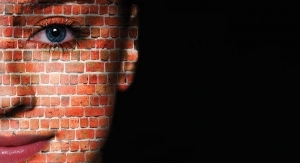 The good news is that industrial and institutional product manufacturers deliver a range of products that kill germs, make floors sparkle and restrooms smell fresh—and manufacturers are keen to craft systems that can cut down on manpower or the time it takes their customers to achieve those goals. 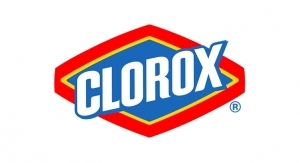 Clorox Professional has a remedy, specifically a new surface treatment system that combines electrostatic technology with Clorox products. The Clorox Total 360 System uses patented electrostatic technology to optimize product delivery, offering a cost-effective solution for efficient, comprehensive surface treatment that is designed to help keep facilities healthier while saving them time, money and labor. Through an electrostatic spray, sanitizing and disinfecting products reach surfaces outside the line of sight, covering what conventional trigger sprays may miss, including the sides, underside and backside of surfaces. Because the solutions’ particles are electrostatically charged, they are attracted to surfaces with a force stronger than gravity, allowing the solution to reach and uniformly coat even hard-to-reach surfaces, according to Dr. Ken Giles, a professor in the UC Davis Department of Biological and Agricultural Engineering who is a leader in electrostatic spraying technology. “The electrostatic spray is about covering large areas very quickly, covering different surfaces and having that coverage be consistent,” said Strazdas. 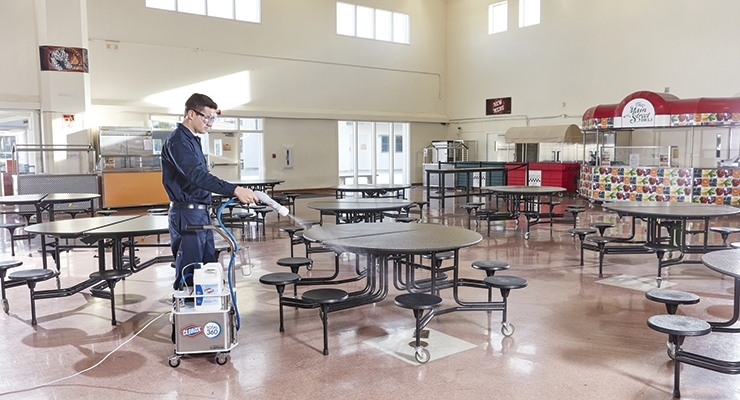 The system can cover up to 18,000-square feet per hour with Clorox sanitizing and disinfecting products (Clorox Total 360 Disinfectant Cleaner and Clorox Anywhere Hard Surface Sanitizing Spray), providing superior surface coverage up to four times faster and using up to 65% less product compared to conventional trigger sprays per square foot. 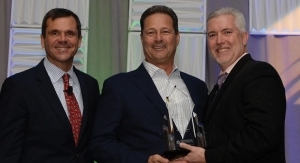 The Clorox Total 360 System’s performance impressed the industry as it topped a pool of 44 entries from 38 companies to win the International Sanitary Services Association’s (ISSA) Innovation of the Year award, and was also named a Visitors’ Choice Award winner at the 2017 ISSA/Interclean North America trade show too. “Bringing the cleaning and disinfecting power of bleach to the world is where we started in 1913, and today, innovation continues to be the cornerstone of everything we do,” Strazdas said. The health of the I&I category is shaped by general economic factors, which often means the market moves more like an ocean liner than a speedboat. But I&I companies have been venturing into new waters to grow their businesses. For example, Gojo, which has been searching for new avenues for the Purell brand, added new Surface Disinfecting and Sanitizing products for food facilities in 2016. More recently, at ISSA/Interclean in Las Vegas, Gojo unveiled new Purell hand soap and what it calls “game-changing” dispenser technology. 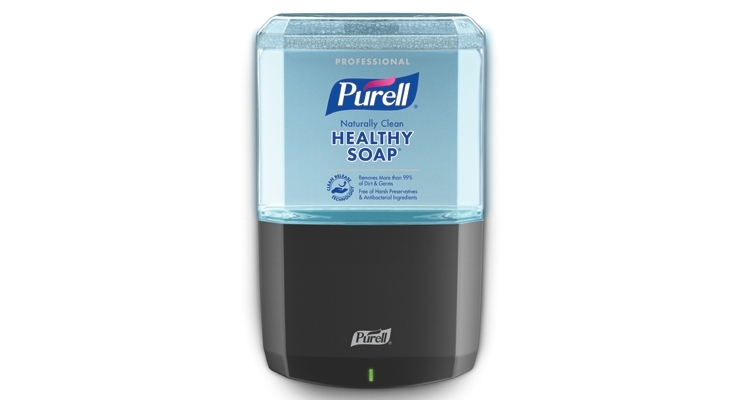 Purell’s new Healthy Soap features new breakthrough “Clean Release Technology” that is said to boost soap performance with a novel surfactant system that reaches deeper into skin’s cracks and crevices to gently remove more dirt and germs than regular soap. Formulated for dry and sensitive skin, the new soaps are also free from most common causes of severe skin irritation, according to the company. 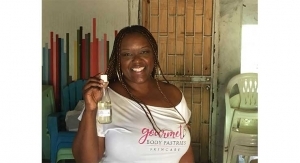 In developing the soap, the company wanted to address key dermatological issues, such as skin irritation from harsh preservatives and antibacterial ingredients as well as safety. Srini Venkatesh, chief scientist, Gojo, pointed to the “confluence of surfactants” in the formulation that make the new soap a high performing product for critical settings such as healthcare, food service, educational and office settings. “We take pride in the fact that formulation matters,” Venkatesh told Happi in a phone interview. 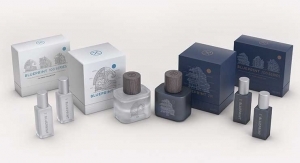 The new soap is also environmentally responsible, with 90% bio-based content, which Gojo says far exceeds the 64% standard for bio-based hand washes. It rinses faster and cleaner too, which can save an estimated six gallons of water per refill compared to regular soap, according to Gojo. Gojo also used ISSA/Interclean to showcase new Purell ES8 dispensers, which eliminate the hassle of battery change outs by offering refills with an integrated coin cell battery. When cleaning personnel replace an empty refill, the dispenser gets fresh product and new energy at once. 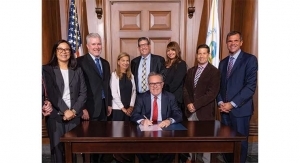 Purell contends the ES8 systems represent a 68% reduction in battery waste and a 15% reduction in greenhouse gas emissions when compared to leading touch-free systems on the market. Dispenser technology is part of Gojo’s DNA. The Akron, OH-based company is credited with inventing the first portion-controlled soap dispenser. Deb Group, part of SC Johnson, has also developed a new commercial hand wash, Solopol GFX, billed as a heavy-duty foam hand cleanser with grit that quickly removes medium to heavy duty contamination such as oil, grease and grime, without leaving hands feeling dry, rough and cracked. Deb also highlighted Solopol GFX’s cost-savings profile. A foam lather spreads quickly and delivers the optimum amount required for effective hand washing while providing up to 42% more hand washes per liter compared to traditional hand cleansers. Deb Group contends one dose out-cleans up to three doses of competing pumice-based cleansers, and a single cartridge of Solopol GFX will last nearly twice as long as traditional two-liter heavy duty cleansers. Privately held Jelmar LLC has also been expanding its presence in the commercial cleaning marketplace—an area of double-digit growth for this privately-held company which is perhaps best known for Tarn-X (which turns 50 this year) and CLR. Jelmar entered the commercial market with Tarn-X Pro in 2011; today there are 13 Pro products in the stable. The newest is CLR Pro Heavy Duty Cleaner, a ready-to-use, multi-surface, industrial-strength cleaner. It lifts out oil and grease and cuts through other soils to bring consistent, clean results in areas such as commercial kitchens, manufacturing, pool decks and hospitality. 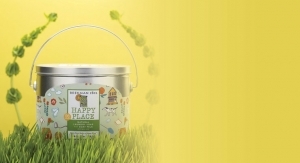 “It fits a really nice niche for us,’ Scott Mueller, chief revenue officer, told Happi, noting the water-based product’s ease-of-use and biodegradable attributes. As such, industry professionals working around areas such as commercial kitchens, manufacturing, pool decks and hospitality can rely on CLR Pro Heavy Duty Cleaner to tackle the tough jobs they face every day, without harming surrounding grass, shrubs or vegetation. Bona US is addressing the challenges professional face when cleaning large spaces with hardwood floors. 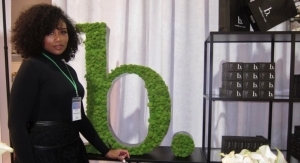 According to Cate Vanegas, director of marketing at Bona US, all-purpose cleaners are too harsh, yet more gentle solutions either leave a residue behind or aren’t powerful enough. The company’s solution is the new Bona Commercial System for Hardwood Floor Care, which includes both Hardwood Floor Cleaner and a special Winter formula that combats salt and magnesium chloride (the active ingredient in most ice melt products). Spartan Chemical Company, ranked No. 47 in Happi’s 2017 Top Companies issue, has been growing in food processing sanitation. To help continue that trajectory, Spartan recently promoted Tom Parris to the role of manager of food processing. In addition, it earned new third-party certification that will help it serve the needs of processors focused on the fast-growing organic food category. Spartan’s PAA Sanitizer FP (a peroxyacetic acid-based sanitizer/disinfectant), Eggs-So-Clean pH Booster (which neutralizes the level of contaminants such as egg proteins, soils, and other egg waste in wash water) and SparCHLOR (a chlorinated sanitizer) were recently certified by the Organic Materials Review Institute, a nonprofit that provides an independent review of products, such as sanitation chemicals, that are intended for use in certified organic production and processing. Leading I&I companies continue to tailor their business as they lay the groundwork for future growth across the globe. For example, Ecolab recently celebrated the opening of its new Asia Pacific headquarters in Singapore. The office, which houses 170 Ecolab associates, is a more modern and sustainable than the company’s previous space in Singapore. Ecolab has more than 4,000 associates and operates more than 90 facilities (including 23 manufacturing plants) throughout the Asia Pacific region. Additionally, Ecolab recently sold its equipment care business, which had sales of $180 million in 2016, to Audax Private Equity, a Boston-based private equity firm. According to Ecolab chairman and CEO Douglas M. Baker Jr., shedding the unit will enable the firm to sharpen its strategic focus on its core businesses. Major changes have been underway at Diversey, highlighted by its sale by Sealed Air to Bain Capital. 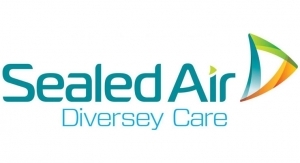 With the closing of the deal in early September, Diversey became a standalone company comprised for the former Sealed Air Diversey Care division and its food hygiene solution business. 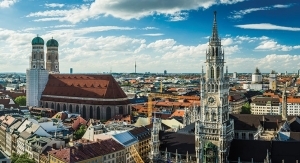 Over the course of the next two months, the firm made additional moves, including the purchase of Zenith Hygiene Group plc, a UK-based manufacturer of cleaning and hygiene chemicals and related products with net sales of £67 million ($88 million at current exchange rates). Based in Hertfordshire, Zenith Hygiene offers a wide range of products serving customers in the healthcare, food service, hospitality, leisure and facilities management, pharmaceutical, and food and beverage processing industries. Diversey also expanded its retail presence by making several of its products available in Lowe’s stores in the US. The lineup at the home improvement retailer includes surface cleaners, degreasers and disinfectants from Glance, Crew, Spitfire and Virex professional brands. 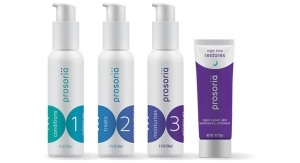 The company also announced plans to move its corporate headquarters to York County, SC. The new 100,000-square-foot headquarter, located at the Lakemont Business Park, will include 18,500 square feet of lab space. To round out its active autumn, Diversey unveiled a new brand identity to showcase its commitment to be the leading “global innovator, developer and provider of cleaning, sanitation and maintenance products, systems and services,” Kadri said during a virtual press conference held on Nov. 15. “We always have one eye on the future. Our business is about people and we put humans first—whether they are a cleaner, colleague or customer,” Kadri told the audience. Diversey worked with London-based branding experts BrandOpus on the project, which encompassed a new logo (a hummingbird that features a part of the 94-year old company’s lotus flower design) and a “customer-centric” ethos that delivers an ethical, responsible and tailored cleaning and hygiene service that does not neglect the bottom line. 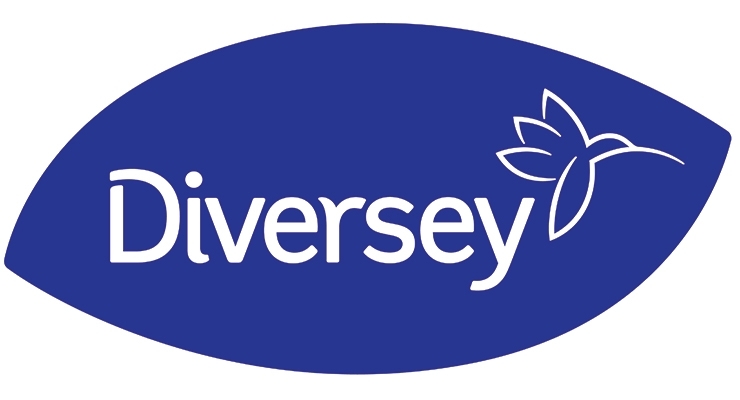 During the course of the press conference, Kadri emphasized that Diversey’s business is fundamentally about people, not products.